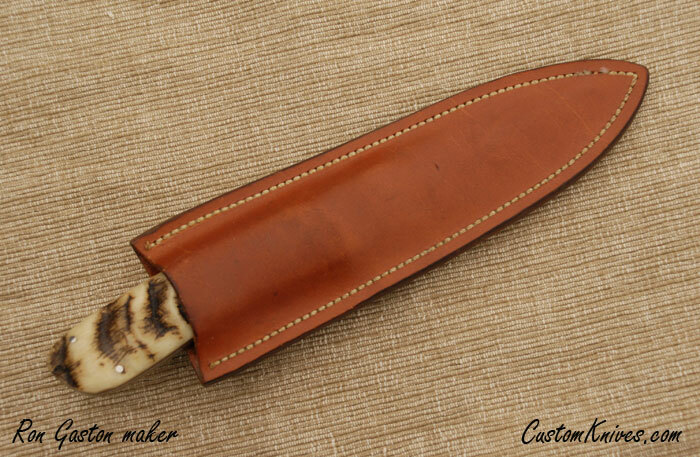 Here is a fine boot knife by Ron Gaston. The ATS-34 blade is 4 5/8" and overall is 9 1/16". The false edge IS sharpened. The bolsters and pins are stainless steel. The scales are ram horn. The knife is as new, 100% mint.